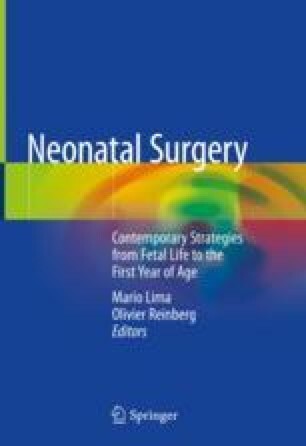 Despite progress in anesthesiology, neonatal anesthesia today still represents one of the most challenging areas in this field for the anatomical, physiopathological, and pharmacological features of newborn babies and requires not only highly specialist knowledge but also manual and technical skills, owing to the size and fragility of these patients. FDA Drug Safety Communication. www.fda.gov/Drugs/DrugSafety/ucm532356.htm. Accessed 21 Apr 2017. National Clinical Guideline Centre. IV Fluids in children: intravenous fluid therapy in children and young people in hospital. NICE Guideline No. 29. National Institute for Health and Care Excellence(UK); 2015. https://www.nice.org.uk/guidance/ng29. Inpatient management standards for CDH: Scottish Diaphragmatic Hernia Clinical Network, 2013. http://www.sdhcn.scot.nhs.uk/wp-content/uploads/sites/19/2017/01/SDHCN-IN-PATIENT-GUIDELINES-25.09.12.pdf. Accessed 4 Jul 2017. ELSO Guidelines for cardiopulmonary extracorporeal life support extracorporeal life support organization, version 1.4, Ann Arbor, MI, Dec 2017. www.elsonet.org.